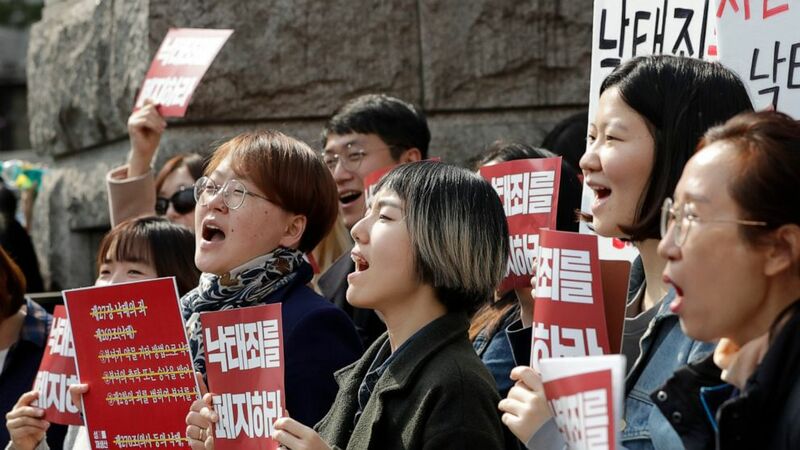 In a major reversal, South Korea's Constitutional Court on Thursday ordered the easing of the country's decades-old ban on most abortions, one of the strictest in the developed world. The court's nine-justice panel said that the parliament must revise legislation to ease the current regulations by the end of 2020. It said the current abortion law was incompatible with the constitution and would be repealed if parliament fails to come up with new legislation by then. Thursday's verdict was a response to an appeal filed in February 2017 by an obstetrician charged with carrying out about 70 unauthorized abortions from 2013-2017 at the request or approval of pregnant women. Most other countries in the 36-member Organization for Economic Cooperation and Development, the so-called most developed countries, allow abortions for broad social and economic reasons. South Korea is one of only five OECD member states that don't allow such abortions, according to the Ministry of Gender Equality and Family. After the ruling, women's rights activists cheered. Some shook their placards and shouted: "Abolish the anti-abortion law!" Roseann Rife, Amnesty International's East Asia research director, called the ruling "a major step forward for the human rights of women and girls in South Korea." Also outside the court were anti-abortion advocates, some of whom cried. Some held placards carrying images of fetuses and messages such as "Who can speak for me?" and "Don't kill me, please." Housewife Mok Youn-hee was in tears and said she was "heartbroken" by the court decision. The Catholic Bishops' Conference of Korea expressed "deep regret" over the verdict. It's not clear exactly how many abortions take place in South Korea. In a recent survey of 10,000 women aged between 15 and 44, about 7.6%, or 756 respondents, said they had undergone an abortion. They mostly cited worries about difficulty in continuing their studies and jobs, economic problems and a desire to wait, according to the survey conducted by the state-run Korea Institute for Health and Social Affairs. The survey had a margin of error of plus or minus 1 percentage point. Activists say most abortions in South Korea, whether lawful or unlawful, take place at registered hospitals. But it's not easy to find hospitals offering illegal abortions and they usually charge high prices because the procedures are not covered by medical insurance programs.